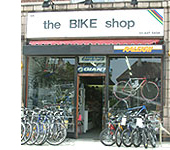 Based in North Harrow, West London, the BIKE shop serves the needs of all cyclists whether they are new to cycling or committed enthusiasts. Our staff are able to help with all matters including bike choice, sizing and all the technical aspects of modern cycles and their parts as well as advising on the best choice of clothing and accessories. So whether you require advice and guidance on your first cycle or you are seeking advice on your dream custom bike build our staff with over 70 years experience will be able to help with any queries you may have. Enter the Questbikes online store! 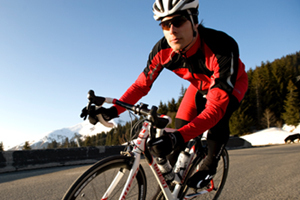 The number one specialist cycling shop for all your high performance cycling. This includes bikes, accessories and cycle clothing. Visit our on-line shop and see our great selection of cycling products. You can choose every component of your new bike or simply enhance your existing one. We have fantastic, lightweight, carbon fibre and alloy frames that you can team up with brakes, pedals, wheels etc from great manufacturers such as Shimano, Campagnolo Sram and Mavic. Including the latest electronic gear systems. When you can't get out in the worst weather, there is no excuse to not use your bike. Simply get one of our Turbo Trainers and use your bike indoors in the warm whilst watching your favourite movie! And so you can really enjoy your cycling browse through our cycle clothing section and see our extensive selection of jackets, shorts, shoes etc that will keep you warm, dry and comfortable. Copyright © 2016. The Bike Shop Limited. All rights reserved.